So far I have removed the upper and lowers, what was left of them. 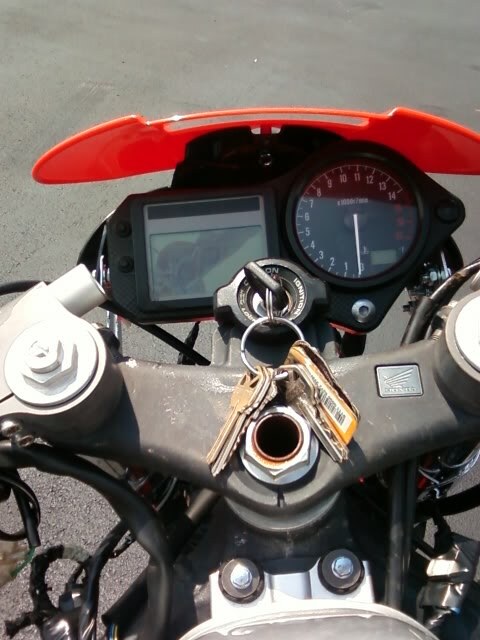 have got a new headlight, put a new clutch cable and levers on it. Tucked all the wiring in under the tank, and shaved the harness down to remove all unused wires. Reborn from the ashes!!! You should call her phoenix. LOL, her name is Christine.... I think it fits good now, because IN FACT she did try to kill me. There's a Christine in real life thats trying to kill you? I read a goosebumps book about a killer car when I was a child I wonder if there's any connection? 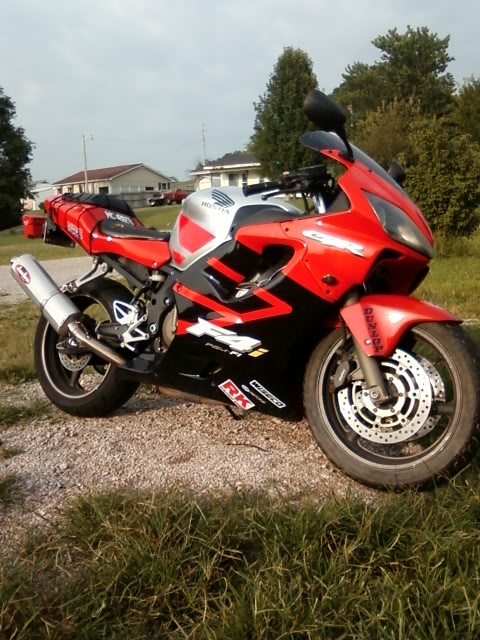 All kidding aside... it actually doesnt look bad.. nice to bring her back.. I assume you are doing okay? I'm still beat up, I'm still pretty sore and still limp and stuff when I walk. But atleast I still can ride!! 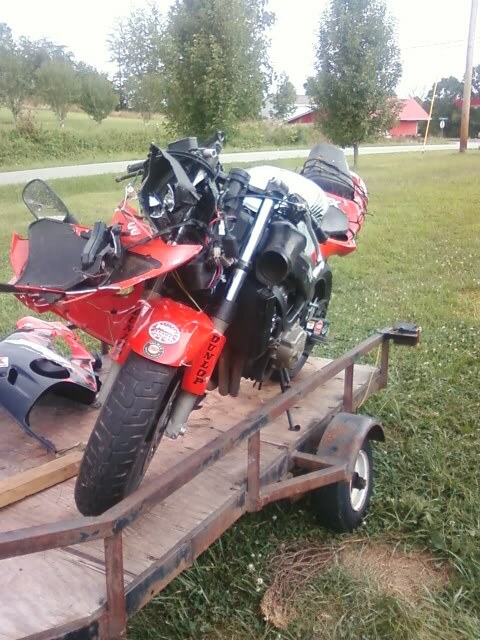 lol..
Thats whats kinda been the hold up on the rebuild, waiting on me to fully heal up and waiting on parts to get here. 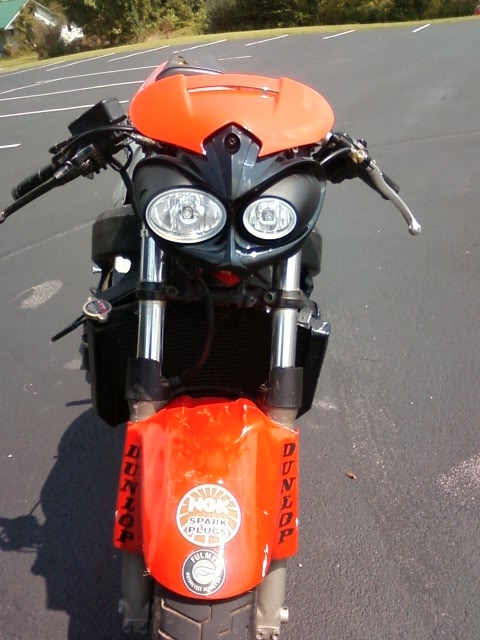 It's difficult to make a street fighter looks like a true street fighter, rather than just a bike that crashed. 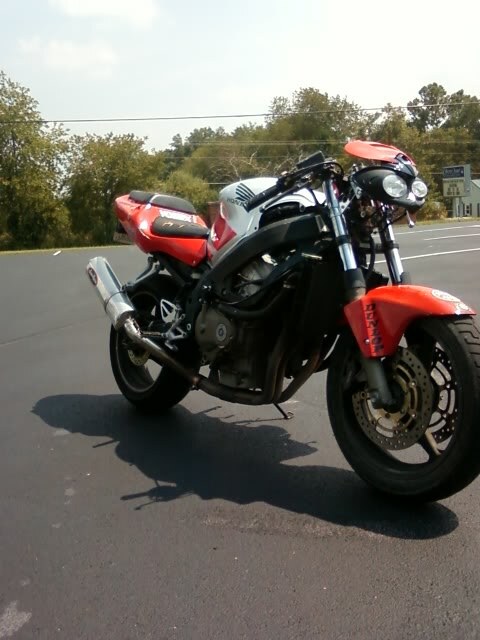 I'm really going for more of a stunt bike build, as thats what I really spend most of my time doing, I've gotten to beat up over the years from the go fast type bikes and blasting the twistes, I'm more into finding a big empty parking lot and giving it hell... but I do still want it to be streetable. 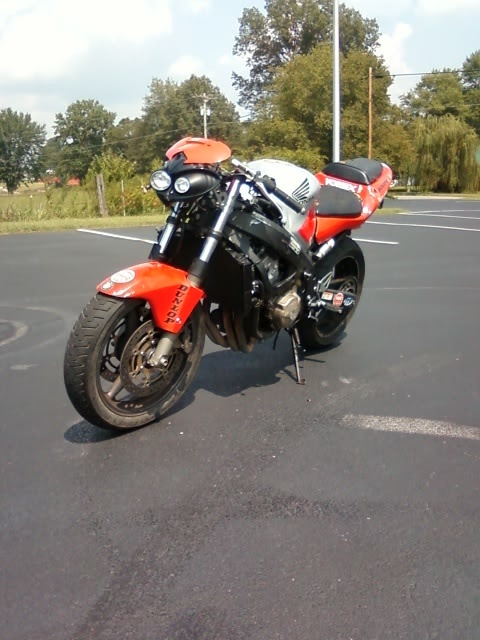 Also I'm looking into getting an r6 tail and putting it on there. I have found most of the piece's for it.